Oil prices fell on Thursday ahead of a major meeting of OPEC members to decide on whether to cut production in the face of sharp price falls in the commodity over recent months. The latest falls are being attributed to growing doubts over the cartel’s willingness to cut production after Saudi Arabia, OPEC’s largest member, appeared to cool expectations on Wednesday. Saudi Oil Minister Ali al-Naimi said he expected the oil market “to stabilise itself eventually” strongly indicating that the kingdom may be willing to accept a longer period of lower oil prices in order to protect its market share against the US shale boom. Oil prices have fallen by some 34% since June on the back of huge additional supply from the US shale boom as well as record output from Russia and surprisingly strong production in the troubled regions of Iraq and Libya. 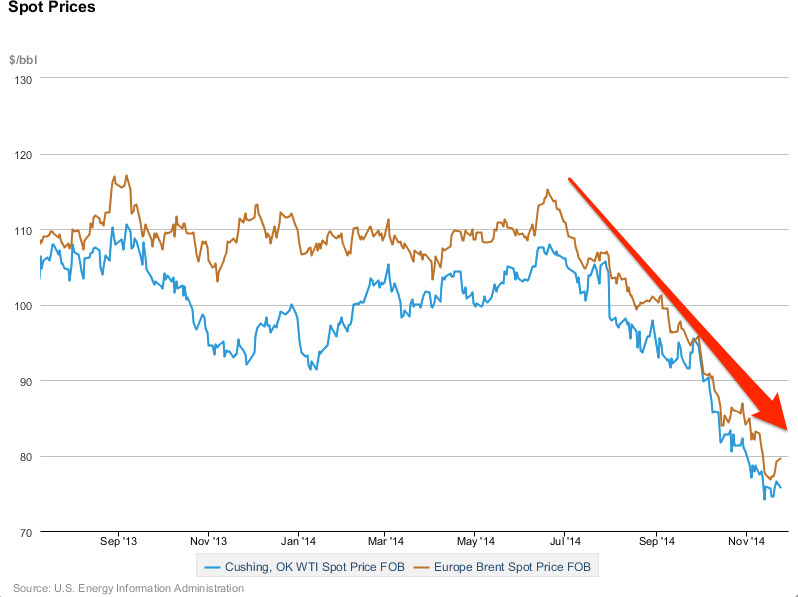 However, a number of OPEC members are less sanguine about the recent falls. In particular Venezuela, Iraq and Iran have all called for production cuts to support prices as the falls hurt their fragile domestic economies. The Iraqi oil minister reportedly said on Thursday that there was a price floor at around $US65-$US70 a barrel. Outside of OPEC Russia and Nigeria have also been agitating for a cut, with lower oil revenues taking their toll on national budgets. 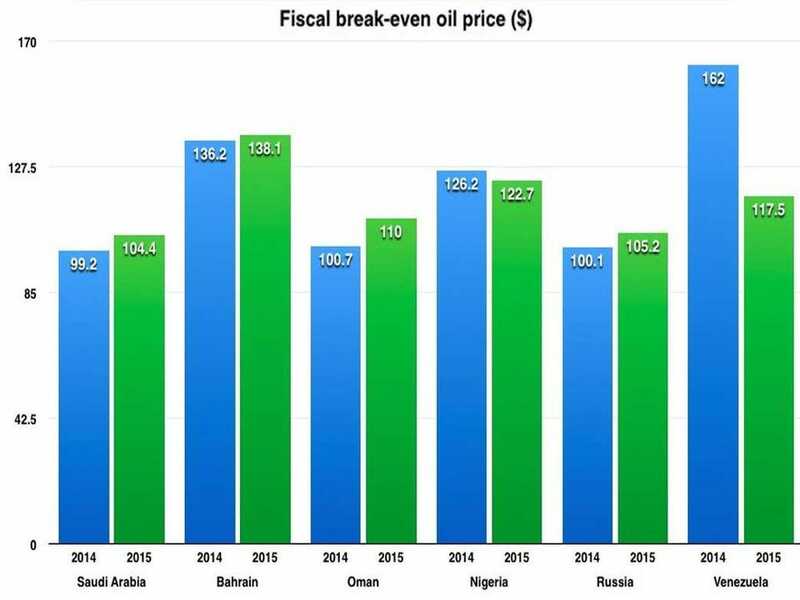 It’s estimated that Russia needs oil to hold up at around $US105 a barrel next year if it is to meet its current government spending commitments, while Nigeria and Venezuela require $US122.7 and $US117.5 respectively. A meeting between Saudi Arabia, Venezuela and non-OPEC oil producers Russia and Mexico on Tuesday failed to result in any agreement to cut production levels. Venezuelan Foreign Minister Rafael Ramirez said that current prices were “not good” for producer countries, but that the only conclusion reached was for all sides to meet again in three months. It now looks increasingly likely that those agitating for sharp cuts are going to have to accept more pain in the short term. However, for some more vulnerable countries further price falls even in the short term could be disastrous.